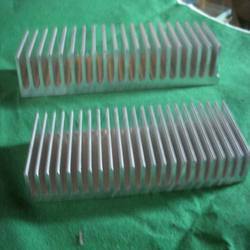 We are engaged in offering a wide range of Extruded (Section) Aluminium Heat Sinks which can be customized as per the clients requirement. These are highly acclaimed fro their high efficiency & corrosion and abrasion resistance. 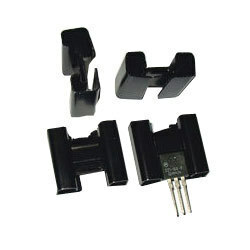 Our range of product include diode transistor & thyristor heat sink, PCB heat sink, IGBT heat sink and relay heat sink. Himalay Engineering is one of the reliable and trusted firms, engaged in manufacturing a comprehensive array of Aluminium Heat Sinks. 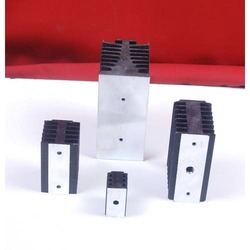 The primary purpose of a heat sink is to maintain the device temperature below the maximum allowable temperature specified by the device manufactures. Most of the heat sinks have fins or ridges, which are used to increase the surface area that allows more metal to come into contact with the air, which allows the heat to be dissipated more quickly. We provide an extensive range of Diode Transistor & Thyristor Heat Sink which is available in the various sizes and dimensions. These are manufactured using quality tested raw material and are known for their various high end features such as optimum efficiency and durable construction. To meet the varied requirements of our client. 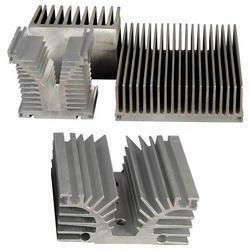 We are engaged in offering a wide range of Relay Heat Sink which offers smooth operation and have high efficiency. 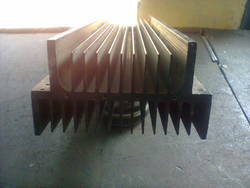 These are availed in various sizes and finds application in various industries. Our products are available in various sizes and are known for their longer service, corrosion & abrasion resistance and optimum quality. Our clients can avail from us wide range of Led Heat Sinks which helps in cooling of the main product & increasing the efficiency & life of LED's. 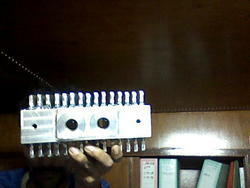 These can be customized on the parameter of diameter as per the specifications provided by our clients. Our products are extensively used in various products such LED lights as as a sub part. We are engaged in offering a wide range of PCB Heat Sink which can be customized to suit the varied requirements of the clients. These are easy to maintain requires less maintenance. Our sinks are known for their light weight & low profile and have the ability to accommodate low power metal case devices for compact designing of PCB for natural cooling. 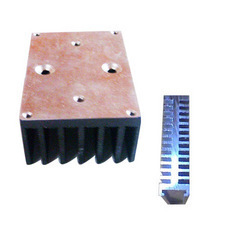 Our clients can avail from us wide range of IGBT Heat Sink which is widely used for IGBT and suitable for various thermal solutions. These are available in various sizes and can be developed as per the clients’ requirements. Our products provides smooth operation and can be used for the various heavy duty applications.